Wormhole Space (W-space) is unique and very different from Known Space (K-space) in many different ways. Lack of local chat, randomness of exits coming out of a system, unique NPC ships (Sleepers), resources that are not available in high or low security space (High End Gas and Ore), and lack of Aggression timers are only few of the advantages. It is only natural that at some point short trips to W-space will seem less profitable than a long term operation from within a W-space System. Once you have set up your home (or if you're moving into someone elses) here are some tips on what you should do. 4 Daily Activities: how to keep them safe. Like most things in EVE, feel free to break these rules if you know what you're doing. You should probably consider them closer to guidelines. Any ship you bring into W-Space should be considered already lost, be it to theft or gank. Consider not flying that shiny HAC you just bought and sticking to battlecruiser hulls a little longer. Or the lack thereof. Local chat does not exist in wormholes. Therefore, enemies are virtually invisible until they decide to be seen. Whenever you are out of the Citadel, you should be mashing D-Scan every chance you get. You should also keep an eye on chat and an ear on Mumble. If somebody states that there is an emergency, get to safety to assess the situation and form a response. If you are not in Innuendo you can warp to a safe spot if you have a cloak or bounce between safe spots if you don't. DO NOT TALK IN LOCAL. You will show up and stay there for ~15 minutes giving everybody in the system free intel. The WHC provides a Fortizar citadel as a home for WHC members. A citadel is comparable to a normal station, with services, ship hangers, item hangers, corporation hangers and unlimited storage space. There are some important distinctions from a station that need to be considered before moving in. Our citadel has an access list that prevents non-accredited members, and their approved alts, from docking. For special events and emergency situations this restriction can be waived to allow docking access. If you are visiting Innuendo and do not have docking rights, the common POS (planet 7 moon 2) is open to all university members. The clone bay in a citadel allows you to store one jump clone and switch to and from that clone without triggering a cooldown. A citadel is destructible. During a citadels vulnerability period a dedicated siege fleet can and will destroy an Astrahus, Fortizar or even a Keepstar after two 24 hour reinforcement cycles. In the wormhole your assets will not be safe; your ships, goods and other materiel can be lost or looted. A citadel has defenses. As a counter to its vulnerability a citadel can equip strong methods to deal damage, support fleets and project various means of electronic warfare on the enemy. Unlike passive station guns or auto-targeting POS mods a citadel will need a player in the control seat to activate and target its modules. Though the defense and tank of the WHC Fortizar is significant, an active response by a well commanded combat fleet is required to win a battle. A citadel can fit service modules. In the WHC you will have access to a clone bay, local market and reprocessing facility. Service modules require fuel to run which is funded by tax and donations. Other infrastructure in Innuendo provides industrialists, inventors and chemists the tools of the trade, though membership of a POS group might be required. The Wormhole Campus has shared assets. If you live out of the citadel you can choose to make your ships available to other members by storing them in the Alpha hanger, and you can borrow other players ships in the same manner. Rule number one of ship sharing is that you replace any and all losses within a reasonable period. The WHC also has common assets. Any ship with the WHC 555 prefix belongs to the campus as a whole. These ships will often be utility vessels, like rolling battleships, transport ships, and mining boats. The Fortizar also has a store of (emergency) PVP fit ships, ready made fleets for WHC events and specialized PVE setups. The same 'replace what you lose' rule exists for common assets. When you are undocked but within range of the citadel your ship will automatically be tethered to the station. This provides you with immunity to incoming damage, and will allow the citadel to remote repair damage to your ship and drones. Though you are invulnerable, you can still be bumped out of tethering range. You will lose your tether as soon as you target other players, and if you activate offensive modules, warfare links, triage or siege modules. To be tethered by a citadel you need to have docking rights to the citadel. In a wormhole a player owned starbase (POS) can also be a main base of operations. These are quite different to living in stations or in a citadel. An SMA can store 20 million m3 worth of assembled ships. There are no divisions within the SMA, as such all ships stored are accessible by everyone who has access to the structure. To store your ship in the SMA, right click the array and select Store Vessel. The Access Vessel button lets you view ships that are currently stored. To board a ship, right click and select Board Vessel. This will also store your current ship. To launch a ship for an alt, right click and select Launch Vessel. When boarding a new ship, the array will attempt to store your current ship which will fail if the cargohold contains assembled containers or the capacity of the array is surpassed leaving the ship floating in the field. If you do not have the required skills to use modules on the ship (namely T2 weapon systems) they will be offline upon jumping in, just replace the ship in the SMA. NOTE: SMAs do not have restrictions on access further than the POS forcefield. In general if you are not okay with other people sitting in your ship, then - with the current mechanics - wormhole life is most likely not for you as "ownership" is a very relative term when living out of a POS. The CHA can store 1.4 million m3 worth of items including un-assembled ships. There are 7 divisions within the CHA, each controlled in the same way as station corporate hangars. 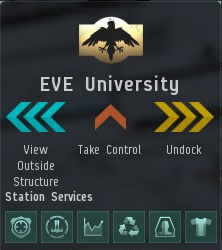 Within EVE University this is done according to titles. It requires elevated privileges to remove assembled containers from a corporate hangar. Within EVE University only directors are able to do this. The PHA is 50k m3 that only you can access. Directors can view but not take items from here. Daily Activities: how to keep them safe. Scan your system as soon as you login into the game. Check the number of signatures, the number of anomalies. Scan each and every signature. Record them all (you should probably have this feature in your mapper). Bookmark the sites into corp bookmarks. Check for new sigs appearing - the Agency icon in the Neocom bar will flash when a new site appears. to have a small gang of Battlecruisers - either dual T2 active tanked or with logi support, to kill the sleepers faster. For Class 4 anomalies and up you will want to use a fleet made of Remote Repair ships or gangs supported by logistics. At the beginning of each site, launch a Mobile Tractor Unit (MTU), Bookmark the MTU (DON'T FORGET THIS), move on to next site. Come back later to pick up loot and salvage wrecks or have someone following you in a dedicated salvager. Always keep aligned when running sites, and always, for the love of bob, check the damn directional. It's very important, if you see any ship that is not supposed to be there, even for a split second, warp out, get to safety. Go to the POS and investigate. Don't start asking in Corp chat who that was, just leave. Believe me, I make a living from killing people like you, don't be stupid. Just warp off. There's no fleet that can't be ganked in W-space. Perimeter sites are generally Low difficulty. Frontier sites are generally Medium difficulty. Core sites are generally High difficulty. For Class 1-2 expect to see Perimeter sites. For Class 3-4 expect to see Frontier sites. For Class 5-6 expect to see Core sites. Ore, Gas and class 5 Data sites are exception from this; also named sites (The Line & Solar Cell for example) do not fall under this convention. Ore anomalies in W-space often spawn rare Ore that cannot be found in HiSec or even LoSec. Those are Arknor, Bistot and Crokite. Always mine those first. They are the most profitable. Use cheap mining barges such as Retrievers and Covetors (or Procurers for the biggest tank). Ventures are also great mining ships for W-space as they are very cost effective and designed for this role. They are affordable and won't ruin you if you lose them. Everyone in W-space will gank a mining op if they see one, so when mining, always make sure that there are no incoming wormholes in your system, always watch directional, or even have a scout at any wormhole exit. You cannot can mine aligned (this does take a bit of planning, but if you spend a lot of time in the ore sites, this technique (to be added) might be useful), and you can make it a bit harder for someone to find you. As of the Odyssey update, asteroid fields are anomalies, showing up on normal scanner without probes. They can be warped to immediately upon arrival in system by a hostile ship. To be safe(er), do not mine without a picket on the WH entrances. Keep an eye out for new signatures that might be new WH connections. Try not to use jetcans for mining, as they can be bookmarked to provide warp-ins on you. Haul in cheap industrial ships, as often as possible. Don't use an Orca for picking up ore. Orcas draw attention of gankers. Warp out at any sign of unknown ships and probes on directional. Better to be safe than dead. Gas sites in W-Space are relatively common and can be extremely profitable to clear. At time of writing, Instrumental sites containing C320 / C540 gas can net a huffing team something in the order of 220mil ISK per hour, which makes it extremely worthwhile. Unlike Ore sites, gas sites remain signatures, and thus require any potential hostiles to probe down the site before they can engage huffers, giving you more of a safety margin as there's usually time to pick up the probes on Dscan. It's important to be careful with Gas sites, as the sleepers that guard them are not present initially, but spawn a short time (approx. 15-23 minutes) after the site is first warped to. Activate the sites first, and return in combat ships to clear the sleeper guardians - once done it should be safe to huff without NPC intervention. Ventures are an excellent choice for Gas Harvesting due to their cheapness, low SP requirements, sizeable Ore/Gas bay and hull bonuses, all of which makes them an extremely efficient and cost-effective choice of ship. Wormhole space, as already mentioned, is very similar to Nullsec. In that matter, Planets that are present in W-space are mostly unoccupied, and far better then any highsec or lowsec planets. You will find various types of planets, and given that you took that into account when you chose your system, you can make quite a fortune from Planetary Interaction. The biggest advantage of PI in W-space is the ability to make some of the POS fuel on the site, it saves you hauling that fuel in, less logistics stress. You can also make various items, that you can export to K-space and sell for profit. What's dangerous about PI, you ask? Well, managing PI itself doesn't involve any risk (yet), but hauling the goods can be tricky. Personally I've ganked multiple industrial ships that were not paying attention to directional, and just went off to pick up their goods, getting killed in the process. You have to assume that you are never alone in W-space. Always watch for hostile ships. Be prepared to run for your life. Don't slow down your industrial ships by fitting cargo expanders, fit nanofibers instead. They will align faster. Fit Warp Core Stabs, they will get somewhat immune to Warp Disruptors, and if you can, use Transport ships, fly cloaky, cloaky is safe. Never stay at the Customs Office longer than you have to. Wormhole Space is an unique environment to fight with other players in. The lack of local chat and mass restrictions on wormholes as well as nullsec-like mechanics allow to do things that would not work in Known Space. 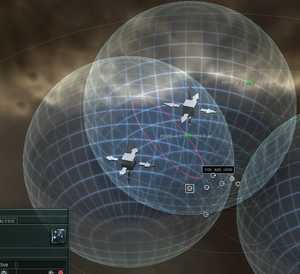 Players often scan down so called 'rabbit holes', chains of wormholes connecting multiple systems to find other players to kill. It's common to see multiple cloak-capable ships in one fleet, hunting down and killing pilots that are not paying attention to directional scanner. W-space is also full of dead POS's that ran out of fuel because their owners either didn't log into the game for a while, or just lost access to their home system. People often destroy those POS's for loot. There are many PvP opportunities in W-space. Wormhole corporations often compete with each other over the best systems, or just for the sake of killing each other. It's getting more common to see one corporation invading a home system of another. Some people even hire mercenary corporations to attack or defend wormhole systems. Directional scanning plays a huge role in W-space PvP, giving Intel and warning of hostiles. Directional Scanner and CovOps ships are the most useful tools in W-space. PvP in W-space is also a source of ISK, simply because it's sometimes more profitable to kill that faction battleship running sleeper sites in the wormhole next door than to run your own sites. Rolling a wormhole is the act of intentionally collapsing a wormhole. Static wormholes are often rolled in the hope that the wormhole replaces it is "better". What does better mean? It depends. It may be that the previous wormhole was "EOL" (End of Life) or "crit" (critical) and you are looking for a new wormhole that you can safely move ships through without getting stuck on the other side. It could be that you're looking for a K-space connection that is closer to a particular system. Or maybe you're just looking for a wormhole with a higher chance of PvP or PvE. Continuously rolling a wormhole to find one that matches certain criteria is known as "Rage Rolling". Dynamic wormholes are usually rolled because you just want it gone. Usually this is because you are worried about what is on the other side. But sometimes you may want to trap someone inside. Maybe some fool just jumped a nice ship into your system and you want to cut him them off from backup or keep them from escaping. Either way just treat it as an "Unwanted Wormhole" and proceed acordingly. Jump to the other side, check for hostiles, and check the ID of the wormhole on the other side. For example it might be C427. Check the mass remaining on the wormhole (is it critical? what does the description say?). Jump back. Check the Wormhole ID on Eve Metrics, it will tell you its maximum mass restrictions. Now you know what kind of wormhole you are dealing with, and you know the max mass that can go through it before it crashes. Well, if the wormhole is not in critical mass stage yet, there's a good chance that you are able to close it. What you need to do is take some heavy ships, preferably Battleships and/or Battlecruisers, and start jumping them back and forward, keeping an eye on the status of mass of the wormhole. Keep one battleship on the far side while doing this. In this example it's a C427 Wormhole which, at it's critical state, (about 10% of total mass limit) allows to jump another 100.000 tons of mass. That's one battleship worth of mass. Keep track of the number of ships you've jumped through so far (jump one at a time), and as soon as it gets into Critical stage, jump back the battleship from the far side. If you've done everything right, the unwanted wormhole should close. Taking control over the exits, maintaining the system clear of incoming wormholes by successfully closing each unwanted wormhole is the key to safety in W-Space. You need to be aware that each wormhole that you leave opened, and not use yourself, is a potential threat, and might eventually get you (and your corp members) killed. 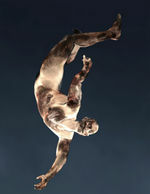 This page was last modified on 21 March 2019, at 18:53. This page has been accessed 281,082 times.